Kupując ten towar za gotówkę zyskasz: 114 pkt. The Space Marine range is designed so that all of the plastic parts can be swapped between different kits. 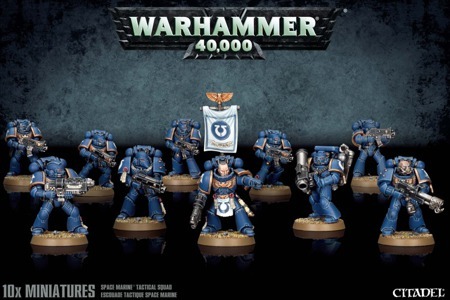 If you want your Tactical Squad to include a Heavy Bolter rather than a missile launcher, then grab one from the Space Marine Devastator kit, or from the Sternguard Veterans and it’ll fit. This allows the opportunity for truly unique collections of miniatures. This plastic kit contains 179 components with which to make a 10 man Space Marine Tactical Squad (and so much more!). 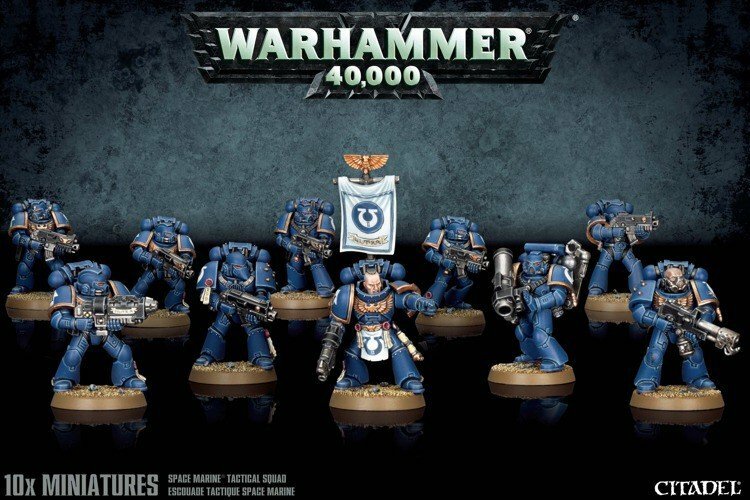 Also included are an Ultramarines transfer sheet with which to add Chapter iconography and squad markings, and ten Citadel 32mm Round Bases. Pudełko zawiera 10 space marines figurek z kilkoma rodzajami uzbrojenia. Zapewni godzin malowania a po skończeniu wielkiej satysfakcji a także wzbogaci Twoją armie i będzie cieszyć oko.